Of course these tech products cannot be built without software engineers and there is an apparent shortage of them in the developed world. They are the fuel of the revolution. For example, according to one survey, 59% of CIOs claim that the tech skills shortage is getting worse. This is where Central and Eastern Europe (CEE) steps into the game. Rich and abundant in tech talent it has already established its brand as a reliable and competent low cost development centre. 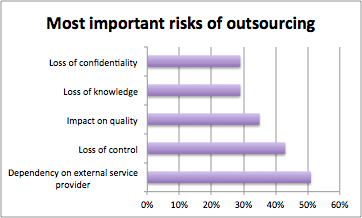 Cheap talent and cost reduction used to be considered the primary drivers of outsourcing. However, the situation has changed in recent years years. Many CEE firms have grown into solid centres of competence, equal tech partners and value-added developers. There has been a shift in the motives behind outsourcing from labour price arbitrage to expanding the talent pool. That reasonably leads to the question - is CEE tired of low cost outsourcing? CEE companies are already playing an important role in innovation and the practice of outsharing. It has already been powering the digital revolution. There are numerous interesting cases worth closer attention. CEE developers have written the code for the global flight search engine Kayak. They have developed one of the biggest peer-to-peer lending marketplaces in the world. Engineers from this region stand behind the code of the most popular Bible app in the Appstore. They have developed software used by 25% of the world’s heavyweight vessels in the ro-ro category. Bearing this theme in mind, let’s not ask where one of the biggest aviation parts marketplace was built. There are dozens of instruments used by leading world financial institutions, starting from market intelligence tools, continuing by data visualization and finishing-up with Portfolio ROI optimization Systems (undisclosed due to NDA). The number of cases is pretty impressive.